Know how to follow a trail using a map, guide book, and trail markings? Do you like choosing your departure day, travelling with your family or friends, and without a mountain guide? We invite you to discover our mountain range: its deep forests, summits and local history. Set in the Chartreuse, our local partner knows the range like no one else. Summits as day goals, the magic discovery of La Grande Chartreuse Monastery, the beauty of Charmant Som mountain pastures, the Entremonts Valley formerly divided between the Savoie and France, and friendly encounters: the ambiance in the Chartreuse range is a true pleasure to discover. Proud of its great historical and cultural heritage, without forgetting the artistry of its craftsmen, the Chartreuse range quenches the thirst of the most curious of hikers, while offering the best level of comfort (2-star hotel and 3***guest houses). This is the ideal hike to discover our high-standard formula: short distance climbs and surprisingly varied day stages, all in a preserved environment. Your luggage will be transferred from one stage to the next; and you will find it every night at your hotel. You just need to carry your backpack including your clothes and lunch for the day, so you can enjoy the hike to the fullest! Rendezvous in St Pierre d'Entremont at the Guest House “Château de Montbel ” in the late afternoon and welcome by the chambre d’hôtes manager. You are given a dossier including a trail guide, some lent IGN maps with highlighted route and a voucher for Correrie Museum. The first hike is dedicated to the discovery of St Même Cirque. The river Guiers Vif springs up and down from the mountain right in the middle of the cirque. Such river divides St Pierre d’Entremont into two villages - one located in Isère, the other in Savoie. Our spectacular route runs along the river and via splendid waterfalls. Transfer to La Ruchère (alt. 1130m). A small hike leads to the Col de La Ruchère (alt. 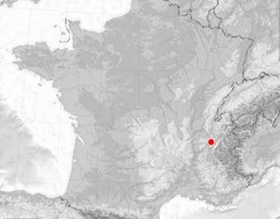 1407m) from where you step into the “Silent zone” of La Grande Chartreuse Monastery. The hike begins in St Pierre de Chartreuse then reaches the St Hugues Church (alt. 880m). This unique contemporary sacred art collection was created by the artist Arcabas. The church was entirely decorated with his works, ranging from paintings, stained-glass windows, sculptures, and even the candelabra and altar. The route then goes through hamlets and into the forest up to the Chalets de l'Emeindras (alt. 1427m) at the foot of Chamechaude, the highest point of the Chartreuse. From there, just walk down to the village of Sappey en Chartreuse where you stay in a superb Chambre d’Hôtes 3 Epis (3 ears of corn amenities), classified Panda Gîte (of particular interest to fauna and flora enthusiasts). The day's hike is dedicated to Chamechaude (alt. 2082m), the highest point of the range. Hike through the forest then along a wooded ridge to the Charmant Som grazing lands (alt. 1670m). Herds of beautiful Tarine cows make it a peaceful, quiet place. The way down is contrasted as you walk down via limestone rocks so called Dalles du Charmant Som. This route offers you a superb vista of the St Pierre de Chartreuse valley, where the day's hike ends. 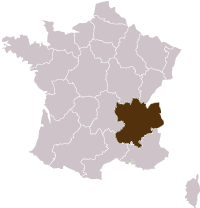 St Pierre de Chartreuse ranks amongst the French communes with the largest forest area - the main activity there is wood industry. Overnight in the Chambre d’Hôtes 3 Epis. To start this 'no-summit' day, walk out of the St Pierre de Chartreuse basin towards the Entremonts valley. After a climb through the forest, a superb route overlooking the Guiers Mortsmall valley leads to the Col de la Saulce (alt. 1481m). Then just go down gently to the hamlets of the Entremonts valley. The hiking tour comes to an end at the Chambre d’Hôtes de St Pierre d'Entremont, where your luggage has been transferred. Night in Chateau de Montbel Guesthouse. End of your tour after breakfast. ACCESS : Chambéry TGV train station to the near coach station. Customize your tour : add or remove one night or more.